eat'n veg'n vegan food and recipes: Thank you, thank you! Sorry for my recent absence, everyone. I've been super busy and away from the computer, and I've still been under the weather, still without kitchen lighting, and still cranky. I do have a minute before Sunday dinner for a couple of overdue thank you's. First, thank you to Vegan View for bestowing me with this award. I'm always grateful for kind comments about my blog. And to Bex, my package swap partner, for the amazing array of local Vermont products I received from her. I have Apple Roasted Shallot Dressing, rock candy, maple candy, Liz Lovely gluten free ginger molasses cookies which are about the best cookie I've ever had, maple cotton candy, Bluebarb Jam, Habanero pepper sauce, a chocolate pb bar, and real maple syrup. Thank you so much, Bex! We're having breakfast for dinner tonight so we'll be able to have plenty of maple syrup and taste some of the other products too. Thanks again, ladies, and I hope to visit everyone's blog soon. Congrats on the award and that amazing swap package--so much fun to see all the cool local products, isn't it? And glad you're feeling a bit better. Congrats on the award! Maple candy is my husband's favorite :) Nice looking loot! 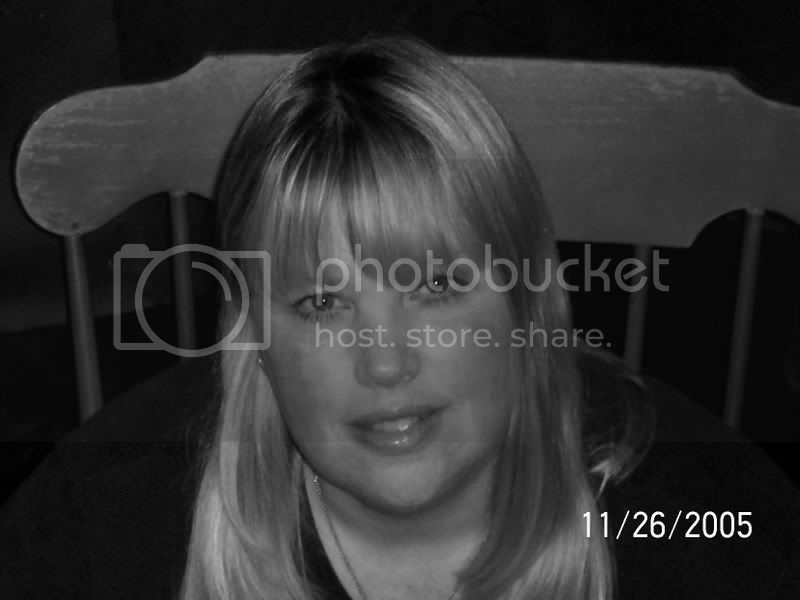 I've been a bit blog challenged lately too. I'm so glad you like the package! Careful with that hot sauce. It is seriously the hottest hot sauce I've ever used. Bex, that hot sauce is so good and way hot! Chase was overzealous with the amount he used on his migas and had to stuff pancakes in his mouth! Sorry to hear you're still not feeling very well and that your kitchen is still under repair :( Hope it all improves soon! nothing like a super awesome package of gloriousness to lift your spirits! feel better & i hope your lights are fixed soon, Diann! Hourrah for awards & swap boxes! All those yummy treats - swaps are so fun! Still without lighting? Jeez! Hope you feel better too! Congrats on the award and what a fun package of goodies to receive! and I liked the "yellow snow" in your products photo! What a fun box of goodies! There's nothing like real Vermont maple syrup! You deserve every good comment/award you get (and more)! Vermont maple syrup! You lucky thing. You are going to have an awesome dinner with that. The chocolate peanut butter bar and the Liz Lovely cookie look so yummy! Surprise packages are so exciting. I hope you are feeling better soon, and congrats on the blog award! You deserve it! What a beautiful swap package for a beautiful sweet person! I hope you get better soon. Hugs and well wishes!!!! 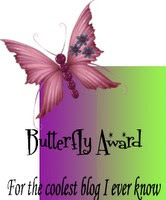 Who can stay grumpy with a butterfly award and an amazing package of cool treats! Looking forward to your next great food post. What on Earth is that, by the way? The package is so cool! What a grand idea. Sorry that you are still not feeling 100%! Try and have a wonderful day! Care packages are the best thing ever! I just received an awesome package from Lindsay at Cooking for a Vegan Lover, and it was all Vermont-based products too! Yum! I hope you feel better soon! I've been battling this stinkin cold for two months now. Congrats and ha, ha don't eat the yellow snow. That's too cute. A Test-y Sunday Dinner and Great Cake!